Bovada Poker is beefing up its weekend schedule this Saturday by adding a special edition Super Bowl tournament with a guaranteed prize pool of $250,000. This coming Sunday, the New England Patriots play the Los Angeles Rams in Super Bowl 53. Due to the ways in which both teams play, it promises to be a great game to watch. Indeed most sportsbooks have priced up the over/under for the total points scored in the game in high fifties. Unfortunately, the game kicks off just as most of Sunday´s major online poker tournaments are starting to get into full swing. Undoubtedly there will be some players who move their laptops in front of the TV to continue playing, but some might like to watch the game uninterrupted. Consequently, in order to give players the opportunity to play in a major tournament this weekend and watch the game uninterrupted on Sunday, Bovada Poker is hosting a special edition Super Bowl tournament on Saturday – which in honour of Super Bowl 53, will start at 5:53pm (all times ET). 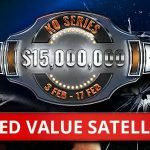 Bovada Poker´s special edition Super Bowl event has a direct buy-in of $325.00 and is supported by a host of satellites and sub-satellites feeding into it. Players start with a massive stack of 15,000 chips and blinds of 10/20, which increase in small increments every fifteen minutes. 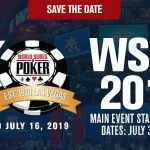 Antes get introduced in Level 8 (125/250 – ante 25) and late registration is available until the end of Level 15, by which time the blinds and antes will have risen to 600/1,200 – ante 120. Consequently, players joining the game at the last minute will have a chip stack equivalent to 12.5 Big Blinds. Bovada Poker is applying its new pay out structure to the event so that at least 20% of the field will be in the money. Although this means players reaching the final table will not receive so much, the flatter pay out structure keeps more money circulating throughout the poker ecology. If you are torn between where to find your poker action this weekend, and you are a resident of the U.S., Mexico, or Brazil, Bovada Poker may be the place for you. If you do not yet have an account with Bovada Poker, you can find out more about the site and the first deposit bonuses you may be eligible for in our Bovada review. 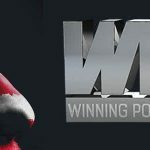 Because Bovada Poker is part of the Pai Wang Luo Network (formerly the Bodog Poker Network) which has a strong Asian database, a “mini” Super Bowl event is scheduled for 7:53am on Saturday with the exact same buy-in and structure, but with a guaranteed prize pool of $25,000. Because the event has the same 15 Levels of late registration, players on the Eastern Seaboard of the U.S. will have until almost noon to register for the event and take advantage of a second opportunity to play in a major tournament with the potential to win a substantial amount of cash. This second tournament explains why the satellites for the “main” Super Bowl event are listed in the tournament lobby as $250K/$25K satellites. Players can use the same satellites and sub-satellites to qualify for either tournament – or, if you have a free day on Saturday, qualify for both. Players not interested in watching the Super Bowl – or who will be watching it and playing poker simultaneously – will be pleased to hear that Bovada Poker has not reduced the guarantees for its major Sunday feature tournaments nor the guarantees on the satellites feeding into them. This implies that there may be some overlays on Sunday – a rare event at Bovada Poker – although the action may take place a little slower due to some players forgetting to look at their laptop screens during an exciting period of play in the Super Bowl game.